Women have been using doulas from the beginning of time, although they haven't always been called doulas. 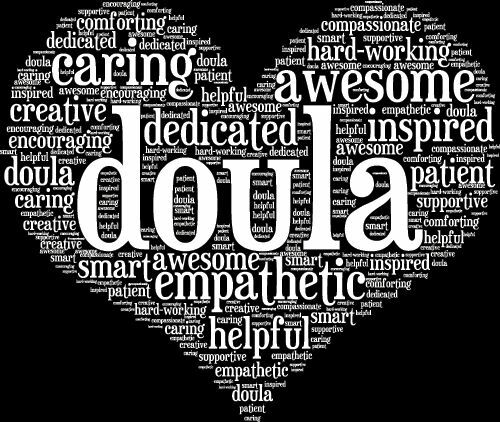 Doula comes from a Greek word that means 'woman servant or caregiver'. The term doula further means a woman that provides emotional and physical support prior to birth and during labor for a woman and her family. There is a lot of support that is needed while a woman makes the amazing transition into motherhood. A doula can help with tasks such as assisting in creating a birth plan, teaching comfort and pain relief techniques during labor and birth, provide breastfeeding assistance, provide emotional support throughout pregnancy and birth, offer referrals to support services, and support the birth experience that you and your partner dream of! Physical Support: Position ideas for comfort and labor progression cross over with hands-on comfort measures like comforting touch, counter pressure, breathing techniques and other “doula magic” for families. A doula’s skilled hands and positioning tools can often help a malpositioned baby find its way through the pelvis and into the birthing parent’s arms. Partner Support: Whether it’s a romantic partner, a friend or another family member like the baby’s grandma, the birth partner’s experience matters in birth. Our doulas are there to support every birth partner in being as involved as they’d like with the birth. Physical and emotional support make a huge difference for everyone involved. “Published data indicate that one of the most effective tools to improve labor and delivery outcomes is the continuous presence of support personnel, such as a doula. Given that there are no associated measurable harms, this resource is probably underutilized.